Ten atmospheres is a graphic sequence that embeds the word atmosphere in a matrix of the alphabet. Ten letters in the word give ten pages; five have the word picked out vertically, five have it picked out horizontally. 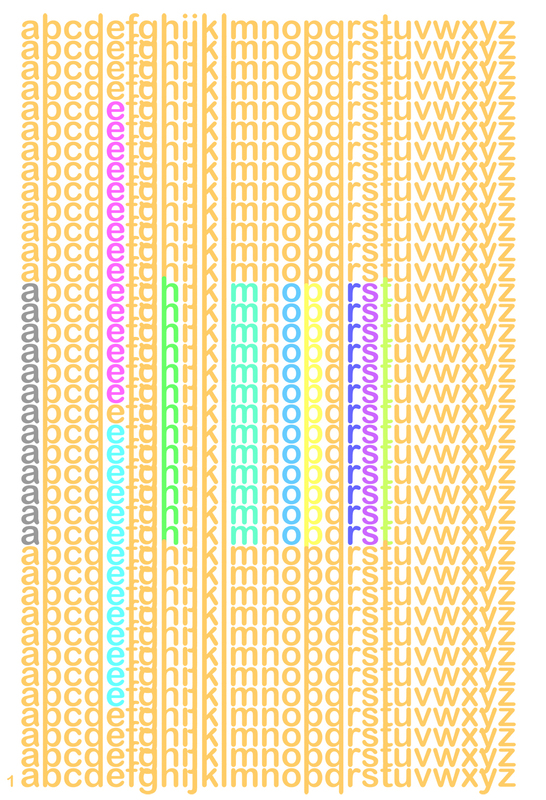 The colour sequence for the consecutive pages, and for consecutive letters in the word, is taken from the order of colours available in the modifiers of the word program. Although the patterns are visual, they are not pictorial. Instead of presenting a picture of atmosphere, the texts work on the usual convention of left to right flow, using memory and prediction as reading qualities. The reader is asked to experience what the word stands for through their reading, at the scale of the individual page and the scale of the set. The poem has been produced using a standard word processor program, and accepting the A4 sheet size. Apart from its PDF version, it can exist as a folder of printed A4 sheets, or fixed to a wall in a long line. This entry was posted in CHAPBOOKS and tagged Alexander Selenitsch. Bookmark the permalink. 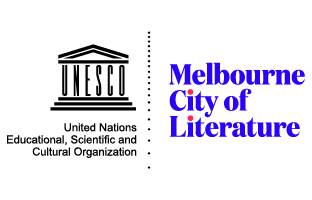 is a Melbourne-based poet and architect and is a senior lecturer in the Faculty of Architecture Building and Planning, University of Melbourne. His creative practice ranges from literature and graphics to sculpture, furniture and architecture. He exhibits this work nationally, and examples are held in various national and state public collections. A retrospective of his work, entitled LIFE/TEXT was shown at Heide MOMA, Melbourne, in 2016-2017.